Residential landscaping is very personal. It's where you spend weekends barbecuing and relaxing. 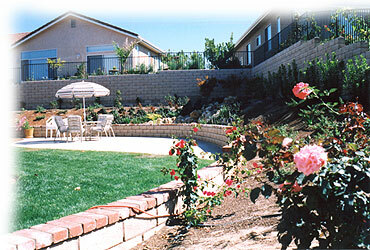 Good landscape design complements the house while being easy and enjoyable to look at. Do you like what you see in your yard? Maybe you need a whole new look, or just some touch ups. Please browse through the links above to get a better idea of the customized services we provide.